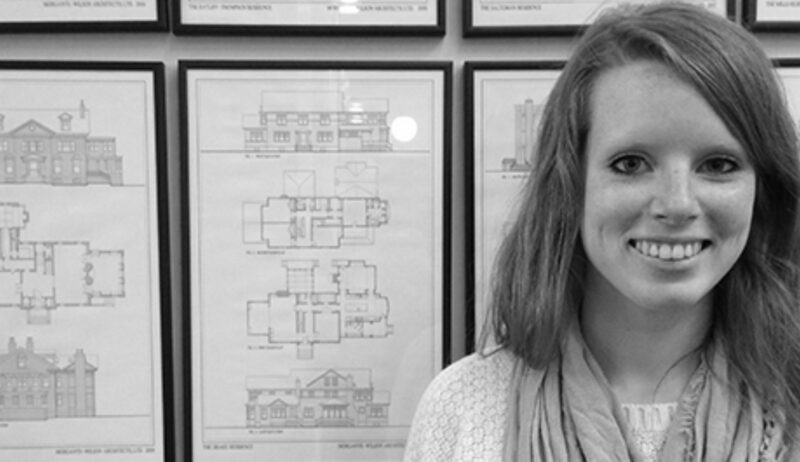 Meet Ellen Whitehead, an architect here at MWA and one of our four newly-named associates. An ace problem-solver who enjoys the big picture as much as the nitty gritty details, Ellen shares her thoughts on architecture, technology, and the one thing she finds a little creepy. You’ve been with MWA five years. What do you love about it? I love seeing projects through from start to finish and working with awesome clients. I love the people here. And I love getting to design every day. I really like solving problems, from figuring out a complicated section of a foundation plan, to determining how to fix something that isn’t quite working out on a job site. So often, complex situations lead to even more elegant designs. And beautiful homes to live in! Definitely the people in it. I’ve always loved that quote that says “Home is where your Mom is.” Personalization is important, too. And of course, the spaces you occupy the most have to be comfortable and inviting. I really love homes that have occupiable spaces that change with the seasons. What are some trends in architecture you find particularly exciting? The ever-changing and improving technology that can be integrated into buildings is super-fascinating to me. Everything is a screen these days. I mean, have you seen those roll-up TV’s? I also think “learning technology” is pretty awesome – if buildings can learn how to operate more efficiently through built-in technology, and change and operate accordingly, that’s pretty cool. And maybe also creepy! Oh, everything! Traveling and exploring new cities – even getting lost in my own city – is a huge source of design inspiration and ideas for me. If you could design a dream house for yourself, what would it look like? It would be a small cottage on a couple of acres with an art studio outbuilding. Ah, so you’re creative! What are you into on your off-time? I love painting and drawing – along with running and yoga. My husband I are renovating a bungalow from the 1920s, so home renovation definitely makes the list. And I’d love to get more into gardening this year. If you weren’t in the architecture field, what might you be doing instead? Well, I’ve always wanted to own a coffee shop. Or maybe I’d be a yoga teacher. Either way, I’d still find a way to be designing!